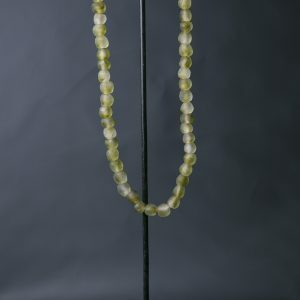 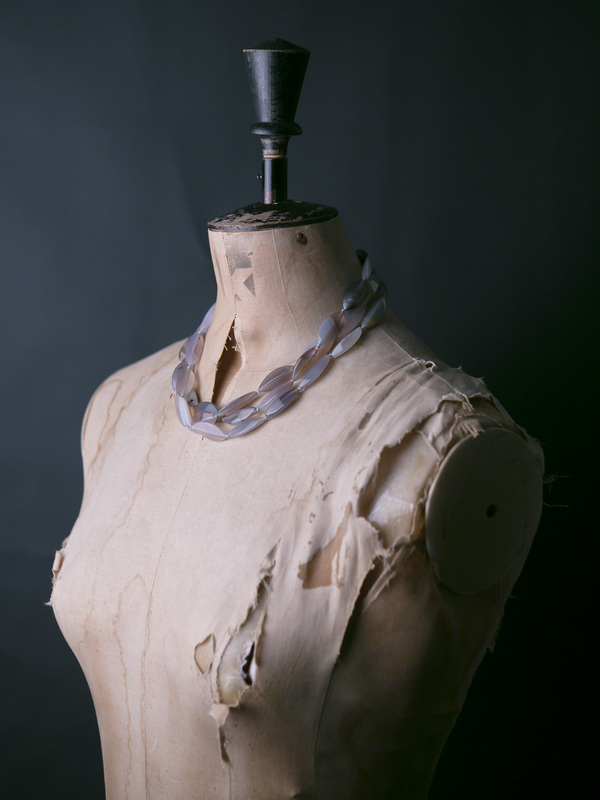 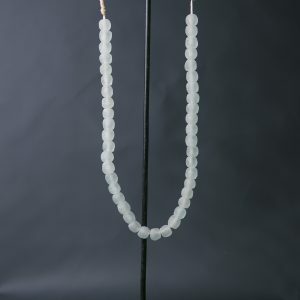 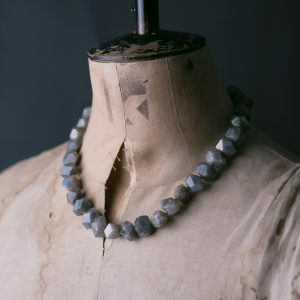 A striking 3 strand grey agate toursade, this is a stylish and classic necklace. 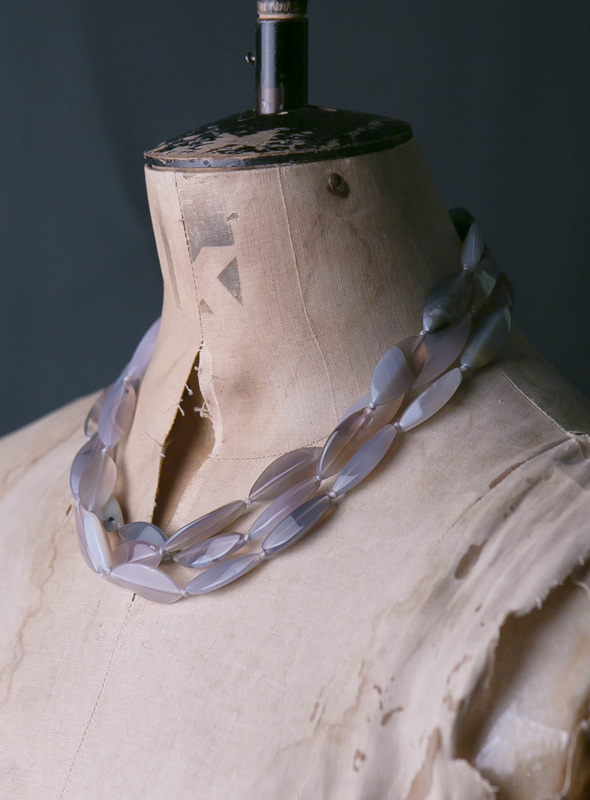 The translucent, marquise faceted stones are in delicious muted grey and natural colours. 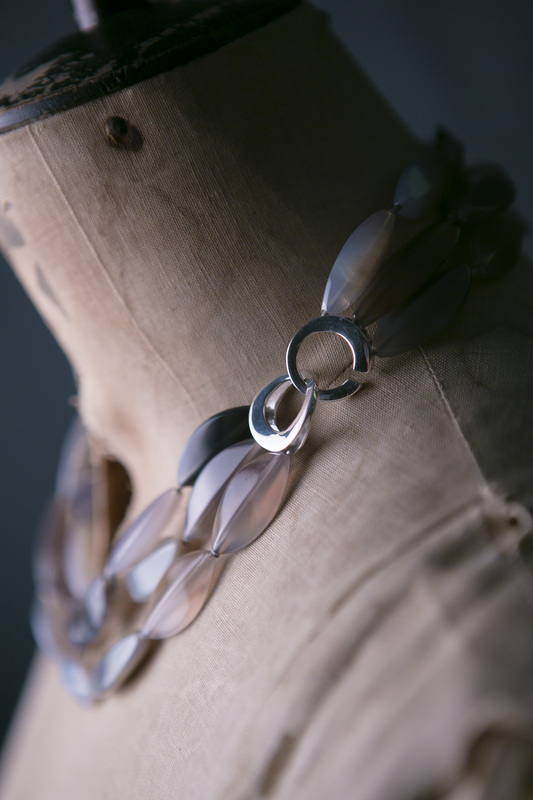 Complimented by a contemporary sterling silver c-shaped clasp. 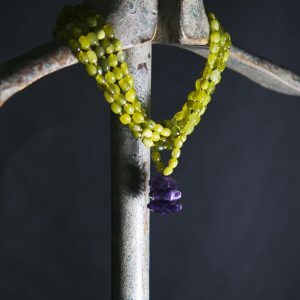 Very wearable from day into evening – a really eye catching necklace!